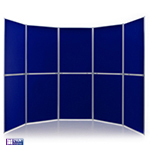 Folding display boards are a well-renowned tool for creating eye-catching displays. The simple design means they can be easily transported from event to event while also providing you with a versatile tool for helping your content to stand out. 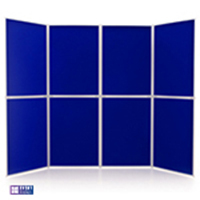 All of our folding display boards feature loop nylon fabric, which means the display can be set up without risking permanent damage to your content or the panel. 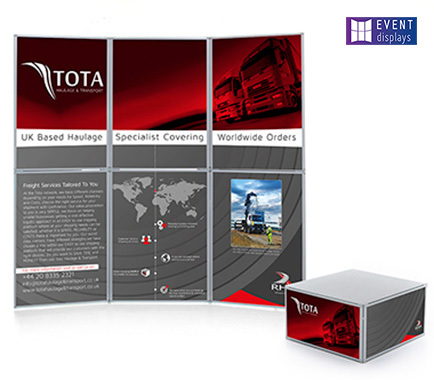 We design the portable display boards to be as flexible as possible so they can fit the customer's needs. This is why we are focused on delivering a display system which is lightweight, sturdy and is going to help to give your content a professional edge. As such, this makes our display boards a valuable tool at schools, exhibitions, trade shows, shopping centre displays and much more. 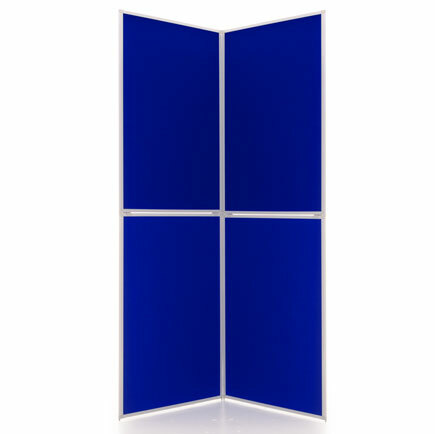 Folding display boards are designed to be straightforward and stress-free to use. In order to achieve this, we manufacture each using a lightweight core which is then compressed to provide it with additional strength. 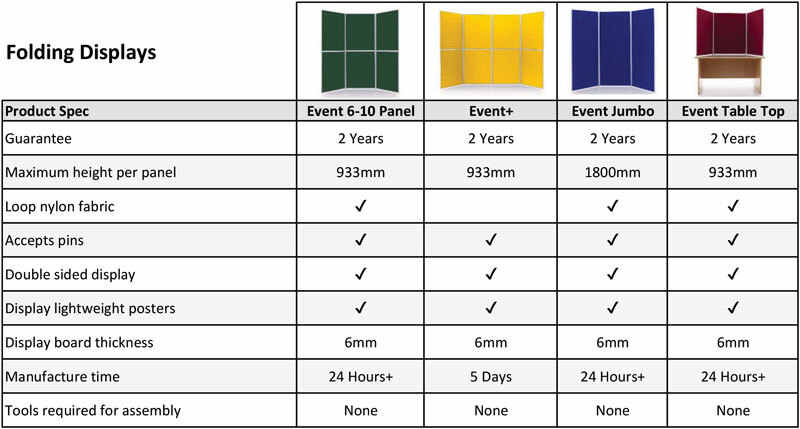 The panels are then covered with the Event loop nylon fabric in the colour of your choice. 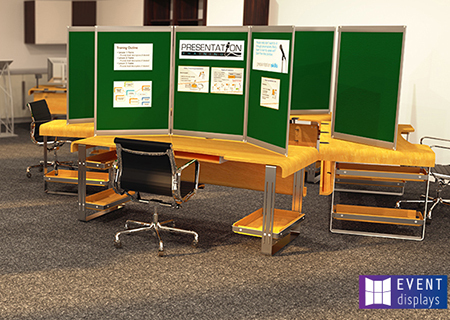 To complete the portable display boards, a stylish aluminium frame is then added to complete a professional display system. The design and manufacturing of the display boards takes place at our premises in Peterborough, Cambridgeshire. All our products are made to order, which means they can be personalised to adapt to your content as well as the environment. To ensure each meets the high standards that we expect, extensive checks are made throughout the manufacturing process. To give your display the edge, we also produce a range of accessories which are compatible with all the folding display boards. From display spotlights, to additional headers and even printed posters, there are a variety of options available to enhance your content. If you are planning on travelling to various events, then we also offer carry bags to ease the transport of the display boards.